The landmark trial over a failed 2015 coup in Burkina Faso came to a dramatic halt on Tuesday just hours after it opened when defence lawyers staged a walkout. 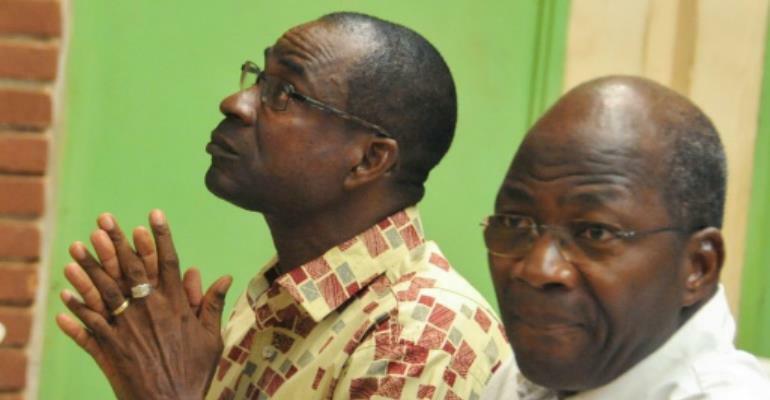 Eighty-four defendants including two former close allies of ousted president Blaise Campaore were facing a variety of charges including treason, undermining state security and murder in a case seen as a test for the judiciary in the West African country. 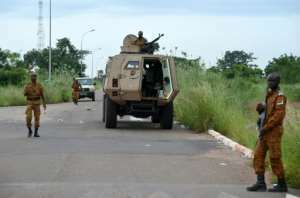 But the head of the military court in the capital Ouagadougou, Seydou Ouedraogo, announced that he was suspending the trial until further notice because of the absence of the defence teams. "We are withdrawing because the court does not have the legal jurisdiction to judge the case," said Michel Traore, lawyer for one of the defendants, former army chief Boureima Kere. Security around the courtroom in an upmarket area of the capital was high and the tribunal was packed for the trial of mainly military officials including suspected coup ringleaders Gilbert Diendere and Djibrill Bassole. The two generals were cheered by supporters as they arrived for the hearing. Members of Campaore's old presidential guard launched the coup in September 2015 against the transitional government that took power after the veteran leader's fall in October the previous year. The elite unit known as the RSP briefly took the country's leaders hostage before the coup was thwarted by street protesters and support from the army which attacked the plotters' barracks. Fourteen people died and 270 were injured in the unrest. The defendants face heavy penalties, including the death sentence, which has not been used in the former French colony for 30 years. The Burkinabe Movement for Human and People's Rights (MBDHP) had described the case as a "life-size test of the credibility of the Burkinabe judiciary", often accused of being under the control of those in power in a country blighted by numerous coups and mutiny since independence in 1960. In 2016, Burkina Faso said it thwarted another plot by forces loyal to Campaore to seize power in the impoverished Sahel state and to try to free comrades detained over the 2015 coup. For Tuesday's hearing, the authorities blocked traffic in the courthouse area, while mobile phones were banned, including those of journalists, and people entering the zone were searched. The measures angered Abdoulaye Diallo, director of the Norbert Zongo press centre, named after a slain investigative journalist. "It still makes me sick that for such a historic trial, we cannot allow the media to capture even the beginning to allow people at least to see what is going on," he said. Dienere, the former head of the RSP, has reportedly hired five lawyers for the case and called for a host of top political and military leaders to appear in court. "He is ready for this trial, he is ready for everything to come out," a member of his entourage said last week. Bassole said in an interview published last week that he did not believe he would receive a fair hearing. "Too many unfair and arbitrary decisions have been made against me in flagrant violation of my rights for me to be able to have confidence in military justice," he told private newspaper Le Pays. Some analysts say the trial could also shed light on other non-resolved high-profile cases in Burkina Faso, such as the assassination of Thomas Sankara in 1987 or the journalist Zongo in 1998, where the names of Diendere or Campaore's presidential guard often come up. Compaore, who was ousted after he tried to change the constitution to extend his 27-year rule, is now in exile in neighbouring Ivory Coast.